Make your child or grandchild the star of a sweet Christmas story. 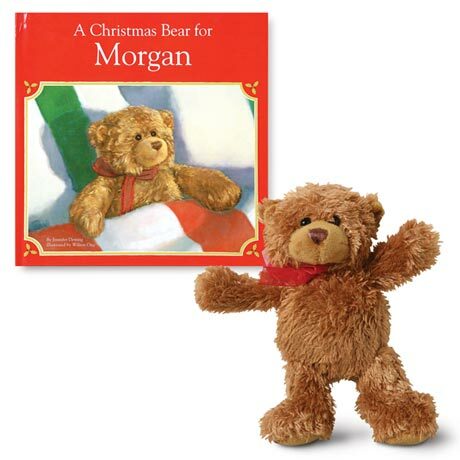 Colorful illustrations and rhyming verse tell of a Christmas wish for a special Teddy Bear friend. 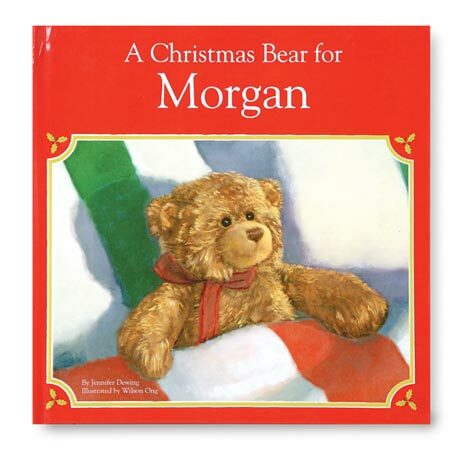 The child's name appears throughout the book; names of siblings or other family members are included on stockings across the mantle and on Santa's list. 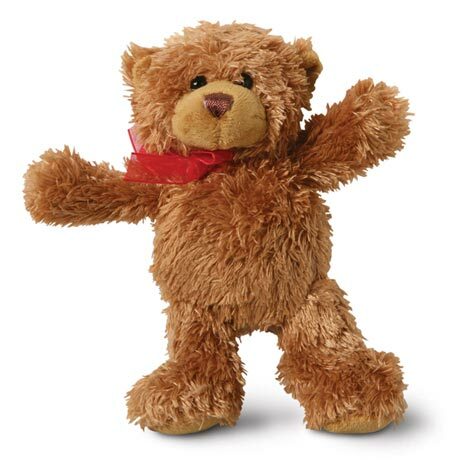 Comes with a 6" Gund plush bear and a letter to the child from Santa. Specify child's first name, last name, middle name (optional), and gender, and up to 12 additional family members, all maximum 15 characters each. Finished book is 10" x 10", hardcover, 26 pages. Allow 3-4 weeks. No rush delivery or gift box. Item can only be shipped within the Continental US.